Stem cells, characterized by the ability to both self-renew and to generate diff- entiated functional cell types, have been derived from the embryo and from va- ous sources of the postnatal animals and human. The recent advances in stem cell research have led to a better understanding of self-renewal, maintenance, and diff- entiation of both embryonic and somatic stem cells. This has significantly increased our knowledge of cellular and developmental biology in general and will certainly continue to do so for a long time to come. Moreover, given their role in maintaining and replenishing tissues, stem cells represent a potential means of restoring tissue function and thereby treating the root cause of degenerative disease. Therefore, in parallel, we need to improve our cognizance of the challenges involved in applying stem cells in clinical settings. The current chapters highlight both of these aspects: that of understanding the "actual" and that of developing the "possible. " 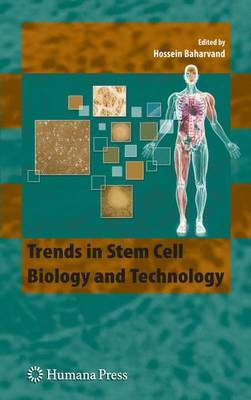 In recognition of the growing excitement and potential of stem cells as models for both the advancement of basic science and future clinical applications, I felt it timely to edit this book in which forefront investigators would provide new findings for the use of stem cells to study various lineages and tissue types and some app- cations.